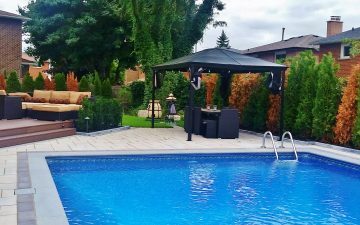 Rectangular swimming pools are the most popular shape for back yard pool landscaping. 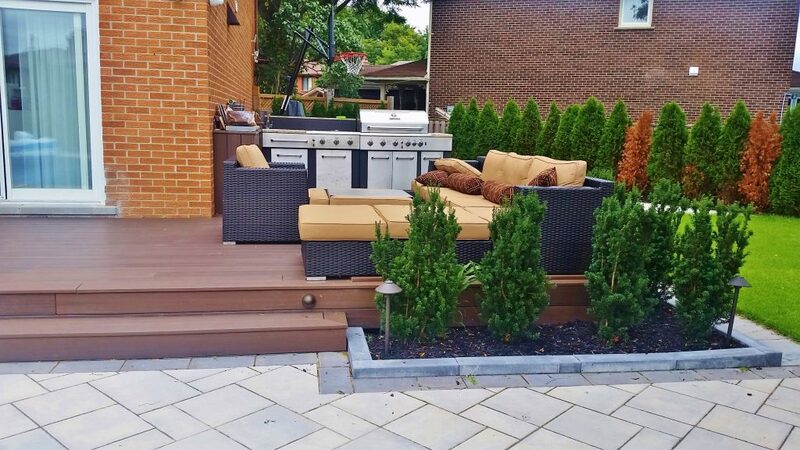 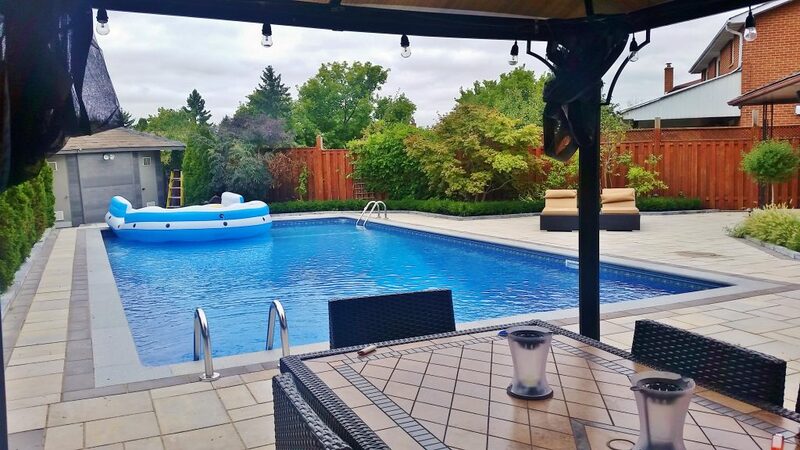 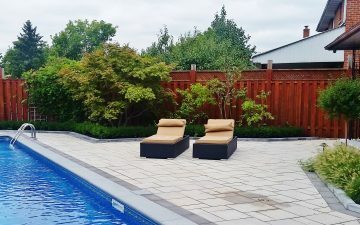 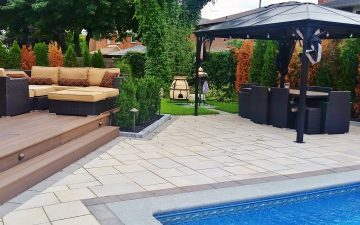 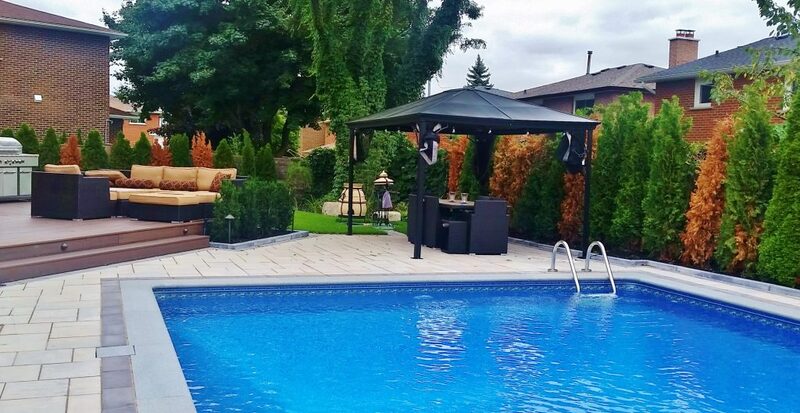 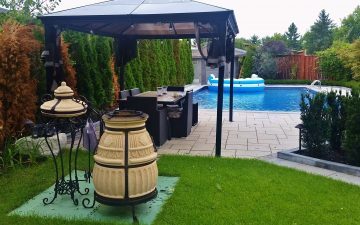 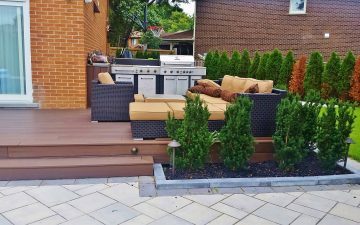 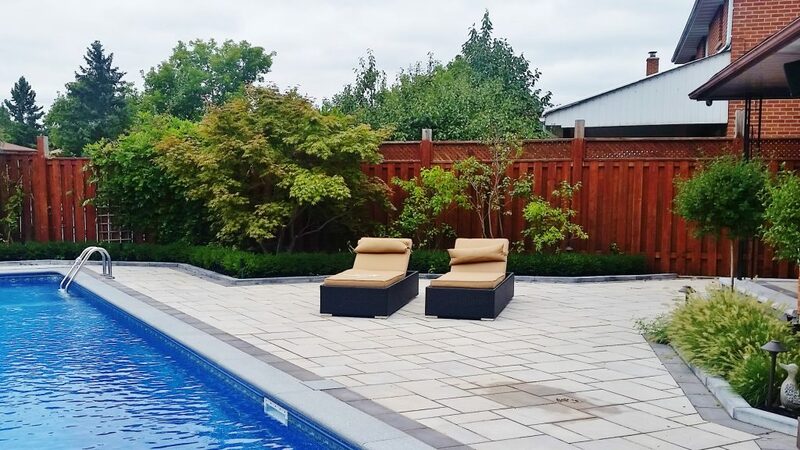 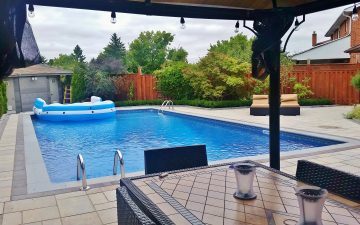 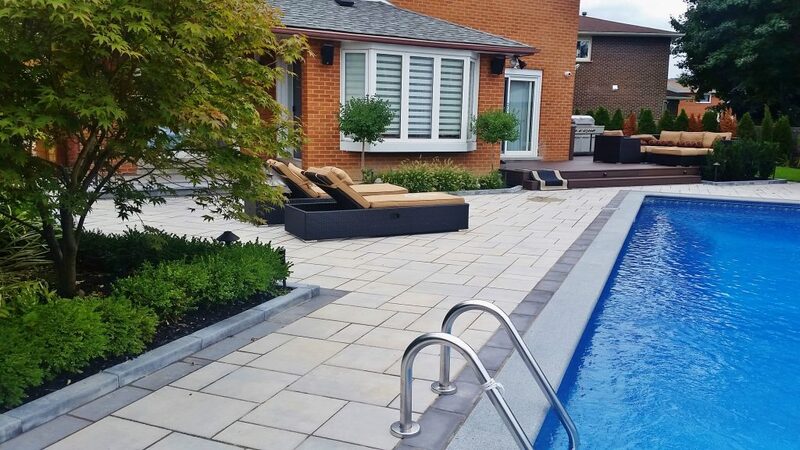 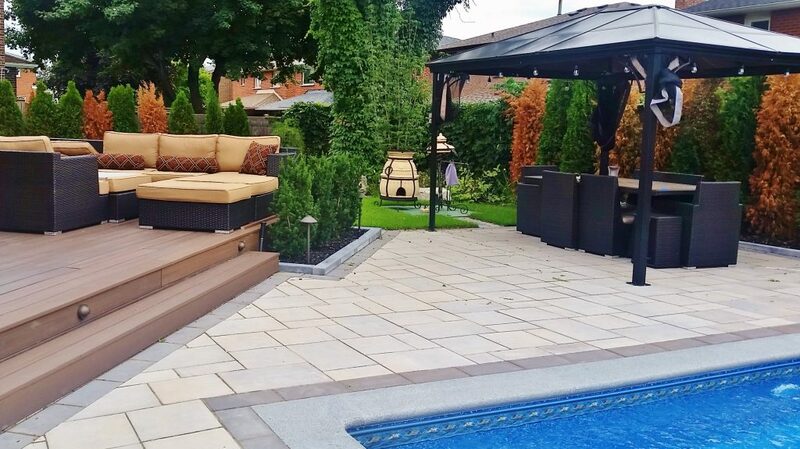 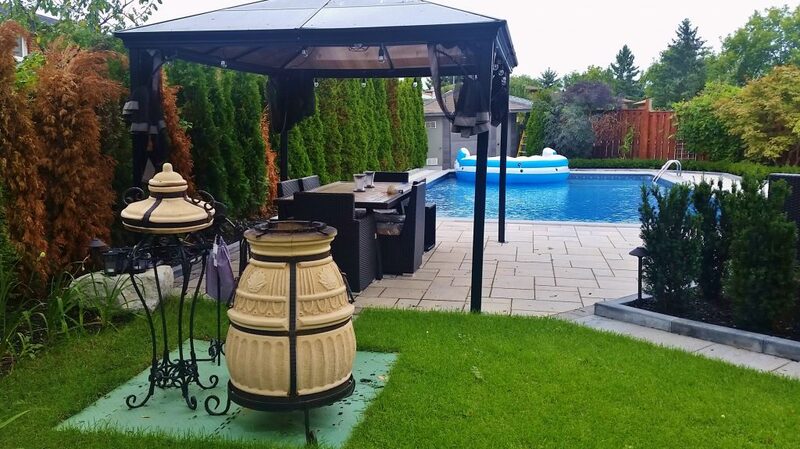 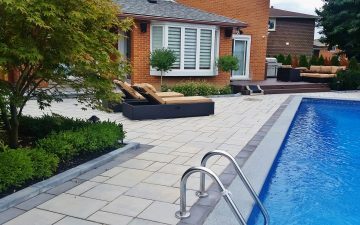 The look of this pool and patio was revamped using modern interlocking concrete slabs, concrete garden curb and introducing composite deck with outdoor kitchen on it. 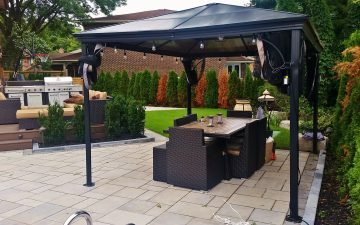 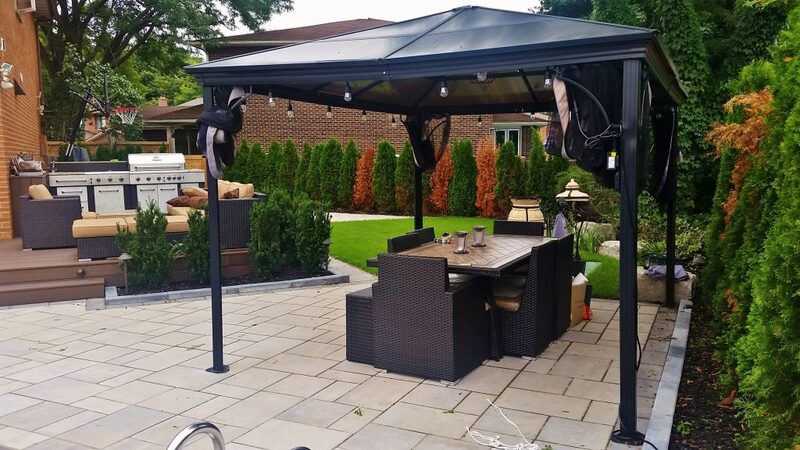 Different entertainment zones are separated with formal shape gardens and overhead gazebo structure.